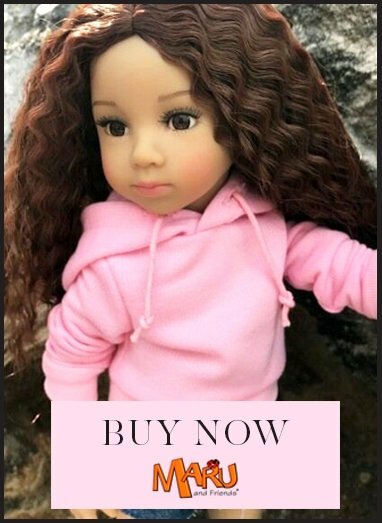 Carla la lala is a limited edition (numbered) 32cm vinyl doll with rooted hair and a soft vanilla scent. She has very shoulder length blonde hair. She's so appealing because she has such a beautiful face. She wears a gorgeous pink corduroy outfit with pink boots. Carla is one of the Las Amigas or "Friends" collection and she has her own section of clothing and shoes in the My Doll Best Friend shop.